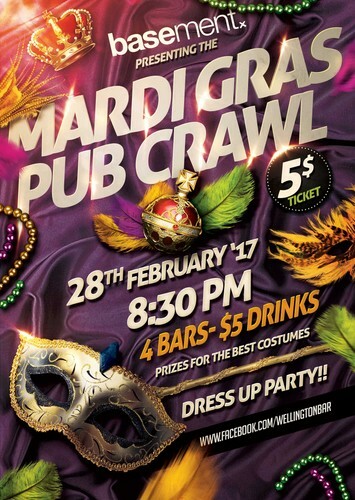 We are excited for our first Mardi Gras Pub Crawl 2017! Everyone is welcome! Invite your friends and let's have an epic Mardi Gras in Wellington. Awesome Party, fantastic drinks, glitter & feathers, amazing friends and strangers! Place limited so get in quick!